The Florida Conference is dedicated to bringing you news stories about United Methodists here and beyond. Whether the news is about the global church or the church on the corner, look for it here. You’ll also find thought-provoking commentaries and opportunities for education and fellowship. 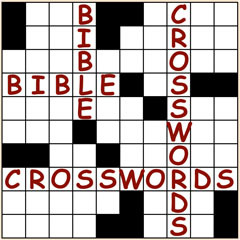 In addition, News & Views is pleased to bring you an interactive Bible crossword puzzle, with new puzzles available weekly. Click here to access this week's crossword puzzle. Have a story to share? Email webadmin@flumc.org or click here to use our convenient “Submit a story” form. Image courtesy of www.ChristianBibleReference.org. Copyright © by Cliff Leitch. The dinner church approach, primarily driven by lay leaders, reflects John Wesley’s ministry of going into a community to meet the needs of others. New Hope United Methodist Church in Brandon took on a weekly meal for the homeless in a run-down church building and transformed it in to a community Dinner Church, reaching out to families who might otherwise never cross a sanctuary threshold. Todd Leclair believed his passion for basketball could turn into a true life-changing experience for others, creating the unity of brotherhood and sisterhood through play. The goal of the Florida Conference is to have at least 500 Fresh Expressions of church in operation by 2025. Rev. Dan Jackson, director of The Vital Church Initiative for the Conference, said he believes it could be sooner. “Constellation” is a Fresh Expression that brings young adults together on Monday nights to enjoy food, fellowship and spiritual storytelling. Floridians love sunshine and water activities. So, why not bring church worship where the people want to be? This paddleboarding Fresh Expression dubbed Adventure Chapel is doing just that. Raised in a Southern Baptist church, Associate Pastor Rob Tucker of Suntree UMC wanted to explore a more "grace-filled and personal" God through Fresh Expressions. In what was once a fireside chat on the church lawn, today's Food for Thought brings spiritual messages to tables filled with sushi and other delicacies. The author of 15 books advocating "a new kind of Christianity," Brian McLaren attended a weekend conference late last fall at The Collective in DeLand. Rev. Ben Collins, calling McLaren an "itinerant inspirer," sparked discussion about relationships between the institutional and the emerging Church. For Rev. Will Wold of Mandarin UMC, using a paintbrush to form a new Fresh Expression offered much more than color on blank canvas. In a gathering at a local brewery in Jacksonville, a group of artists found ways to capture the spirit of a Ukranian folktale, reflect and share fellowship. The Lewis Center of Wesley Theological Seminary interviewed Audrey Warren and Bishop Carter about practical ways that Fresh Expressions can help the church reach new people, younger people and more diverse people with the gospel. For Rev. Michael Beck, senior pastor at Wildwood UMC, holding church in a dog park on Saturday mornings is another Fresh Expression. "Paws of Praise" offers dog lovers a chance to hear the Word, encourage and listen. As part of the growing Fresh Expressions dinner church movement, Grace Trinity UMC recently hosted a statewide church dinner encounter. Held Saturday, Nov. 4, the event was designed to encourage off-campus ministries modeled after a program that originated in Seattle. At Belleview UMC on Sunday afternoons, 5 o'clock goes beyond the traditional dinner hour. Church members have formed a Fresh Expression that includes a buffet potluck meal served on china plates with music and a message. Cinema Conversations is a Fresh Expressions ministry in Leesburg stimulating friendship and talk about the spiritual meaning behind Hollywood films. The group's members discuss films that include "The Circle" and "Wonder Woman." Congregants gather for a sacred weekly meal where the conversation serves as the sermon and freshly baked bread provides nourishment, communion and income. Other churches are using their template to replicate the experience. The Florida Conference recently awarded $14,450 to Fresh Expressions startups across the state. Included were an outdoor brick oven and community garden, a college pub group and a Cocoa Beach pastor who brought surfing friends together to talk about "bad religion." "From the Steeple to the Street"
The North Central district is holding a pioneering event encouraging congregations to step outside their sanctuaries for one day. Led by district superintendent Rev. June Edwards, thousands are being asked to go out in their communities April 8 to pray, observe and listen. Campus to City Wesley Executive Director, Derrick Scott III, is reaching out to young professionals in coffee shops, craft breweries and other venues in the heart of Jacksonville's eclectic urban core neighborhood. A group of seven young people from the Tampa Bay region were inspired to help others their age. The result was the Lineage Retreat, held Sept. 23-24 at Warren Willis in Fruitland Park, helping those struggling to find a place in their local churches. Many congregations dream of being places of radical welcome, but that vision is not sustainable through tithing alone. It’s time to think differently about how to accomplish such work, writes the executive director of Leadership Education at Duke Divinity. Could your Fresh Expressions ministry use an extra $1,000? Here's an opportunity exclusively for Fresh Expressions in Florida. Spurred on by ReThink Church grants, several Florida churches are taking journeys beyond their brick and mortar traditions to embrace the 21st century-driven changes in the ways churches reach out to their congregations and the communities they serve. A young pastor takes the gospel to the streets – and tattoo shops, burrito restaurants and anywhere else people tend to gather. Vision Day draws clergy and lay members from across Florida to learn about new ways to form worshiping communities. A look back at Florida Conference ministries that took off in 2014. Conference leaders to seek coaching from Fresh Expressions and Duke Divinity School. Wildwood UMC mixes Bible study with body art as some members get cross-and-flame tattoos. We need imaginative Christian leaders to develop institutions that can support and sustain the community we now lack. New church plants are less about building sanctuaries and more about helping people find sanctuary together. Leaders in mainline Protestantism need to look beyond the stereotypical congregation to envision new ways of gathering as God's people. A new working group looks to a British model of church renewal that explores building worship communities without walls.